I am part of a writing group. My first challenge - is to write about school lunch. 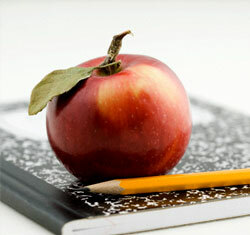 What comes to mind when you think of school lunch? My mind travels back to my elementary school cafeteria, with it's speckled, shiny floors and columns of tables filled with kids chattering away. Glowing light flowed through the long windows which lined the clean, boring creme-colored cement block walls. A stage was on one end, usually with a dark heavy curtain pulled to hide the empty area. The serving area was on the opposite end. That was where I would see a lady who attended my church; she always had a warm smile for me, under her tight graying bun hair, covered with a spider-web like net and a small paper cap. Her name was Mrs. Hogan; in typical southern fashion, I called her by her first name, Selma, always with the respectful southernly title of "Ms."
The cafeteria always seemed so very loud, so much so I would put my fingers in my ears. A line of kids were pushed along the assembly line-like procession, obtaining a tray for their choices of food which included a starch, protein, milk, fruit and over cooked, unappealing veggies, given a space to sit and time to eat lunch. I usually had a packed lunch, which meant I did not go through the cafeteria assembly line for food, but was given a place to sit and the table would fill with kids as they came through the line. Now and then, my mom would give me money to buy the school lunch. I would choose the days they served something I liked: pizza day or mashed potatoes and gravy and Salsbury steak day. I liked my packed lunches too; my mom would send along sandwiches and chips and treats I enjoyed. It gave me a secure reminder of home. I still enjoy the prizes found in a lunchbox! But the days I would get a school lunch, I would always see Ms. Selma, and she would see me. She would smile big and warmly say, "Hello, Tammie! It's good to see you!" I liked the warm, safe, familiar feeling I would experience when I saw her, or rather when I knew she saw me. It contrasted deeply from how school felt the rest of the day; it was more like the cold, boring, creme colored walls. She was some of the light that flowed into a scary place. She was a bit of home. So... school lunches were something of delight for me, because of one lady's heart and eyes for me. Hi Tammie! I remember my cafeteria in the lunch room days too very vividly... I don't have great memories from them.... the lunch "aides" screaming , literally, at everyone. The pizza smell on Fridays (same smell in today's schools 25 years later!). Fruit cups. Lunch ladies rushing us to pick our choices. The rows of seats. One vivid memory is telling my friends I was going to start being homeschooled going into the 5th grade and they did not understand! But I was super excited so it did matter. That's about what I remember! I'm glad you there was some sunshine into your school day with the kind lunch lady. :) Thank you for sharing! And Selma is exactly the same way today. I don't see her often any more, but when I do, she makes me feel so welcome! Don't think I've ever met anyone like her. The love of Jesus definitely shines through her! This is for those, like me, who may have woke not with scurrying tiny toes and bounces of little tots excited to see the morning light of day, but to a quiet, stillness to this holiday morning. I noticed an extra stillness this morning, as a little part of my "family" is not present. I had to say goodbye to my little precious kitty yesterday. My "Pud" (Puddie cat) was a gift of God's love to me for 17 years. She was given to me in 2001, as a gift from one of my sweet students who learned that I lived alone and felt I needed the comfort of a pet. My student accompanied me to the humane society animal shelter to pick out the perfect little purr box: this little tortoise calico kitty grabbed my attention when she swatted at my hair from a crate she was housed in. She was laying in a twisted position so to reach out her playful paw under the gate, seeming to say, "Hey! Pick me!" Her paw was her trademark. 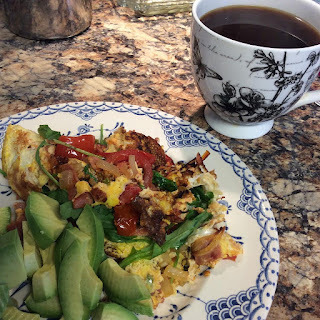 Whole30 ~ I did it!! So this past month I embarked upon an adventure: I have been been doing a body-reset program called "Whole30". The program is very intense, with straight-forward guidelines: basically you have NO sugar, No grains, and No dairy, for 30 days. When I first realized what it was about and what you were suppose to do, I was like "NO WAY! I could not do that!" Yet, always the cheerleader for health and holistic living, I proclaimed to my friend who was saying she was going to do it, "I will do it with you to support you!" September 30, after 10PM I ate my last 3 Tim-Tam cookies, fully dunked in a creamy cup of tea, saying a sweet farewell to sugar, grains and dairy-laden drinks for my next 30 days! !